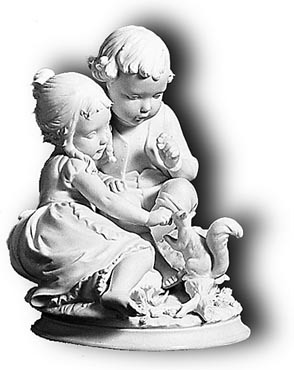 Mold for Collector Series Figurine "PLAYMATES"
COLLECTOR SERIES PLASTER FIGURINE MOLD is perfect for the ceramic connoiseur and crafts-person. Cast your own masterpiece in porcelain or bisque. Mold is meticulously crafted and exquisitely detailed. Limited Time: PLAYMATES Plaster Mold - Now ONLY $74.00!!! Playmates Figurine Mold RED TAG BARGAIN!!! Molds For Ceramic Pendants, etc.